RSS stands for Really Simple Syndication and represents the standardized web feed syndication. That's quite a mouthful. What does that really mean? You can sort of think of RSS like the New York Times crossword puzzle. The New York Times is the home of the puzzle, but it is also printed in newspapers across the country. This is called syndication. To facilitate this on the web, a standard is needed to pass information back and forth. That's where RSS comes in. It provides the standard for syndicating articles on the Internet. Most of us run across this syndication every time we browse the web. A site that is syndicated will usually advertise its RSS feed using the orange icon pictured above this article. Some sites will also use icons for common RSS feed aggregators like Yahoo, Google or Netvibes. Many sites and blogs across the internet use the standard RSS icon to link to the corresponding RSS feed, which you might find in the header, sidebar or footer. The RSS feed will just look like a bunch of complicated code to any regular web user, but when you use an RSS feed reader with it, it will update you with new blog posts or articles as they come in, which you can often read directly through the RSS reader rather than visiting the site itself. Now that you know what an RSS feed is, how can you start using them for yourself? The easiest way is to sign up with a feed reader or aggregator. That's just a fancy way of saying that you'll need a place to store all of your RSS subscriptions. You can also use most personalized start pages to store your RSS feeds. Adding a feed to a personalized start page can be more difficult, but can also be easier to maintain. Usually, you will need the feed's address to add it to a personalized start page. This address can be found on the address bar when you click on the RSS icon. Just use your cursor to highlight this address, copy it, and then follow the directions for pasting a feed into your personalized start page. You're going to need an RSS reader to collect your RSS feeds, track them and update you with new information from them. 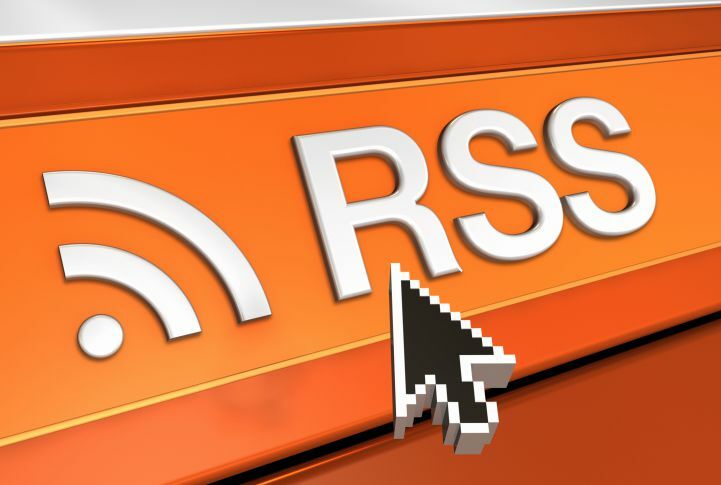 Check out our list of best RSS readers to find one that's right for you. Why Subscribe to RSS Feeds? The main reason to subscribe to feeds is to save time by creating a single place to access all the information you want to check up on. If you find yourself going to multiple news sites or have a number of blogs you like to read, adding their feeds to an aggregator allows you to scan for new content on one page instead of going to each page individually. If you only have a few pages you keep up with on a daily basis, it's probably easiest to just go to each individual page directly. But, if you like to hit a current news page, a sports page, a financial page, and a couple of blogs, or if you like to get your current news from several sources, a feed aggregator can come in handy. One other benefit is that a feed reader is that it streamlines the design across all the content it gets from all sorts of different sites, maintaining a clean look that's often free of website headers, sidebars, logos and even ads. Feed readers that offer mobile apps are also ideal for reading on the go, since they're optimized for reading on mobile devices. Finally, if you use social networks like Facebook and Twitter to get information updates from news sources, blogs and other websites, Rss feeds combined with an RSS reader can help you separate social updates from information updates. This way, news and information-based updates don't get lost in a sea of friend-based posts.